Come join the Colleyville Lions Club for our Annual Knights of Sight Golf Tournament at the Texas Star Golf Couse in Euless. 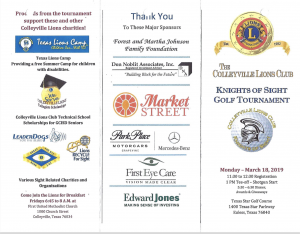 Come join the Colleyville Lions Club for our Annual Knights of Sight Golf Tournament on Monday, March 23rd at the Texas Star Golf Couse in Euless. The cost for an individual golfer is $125, or $500 for a foursome. 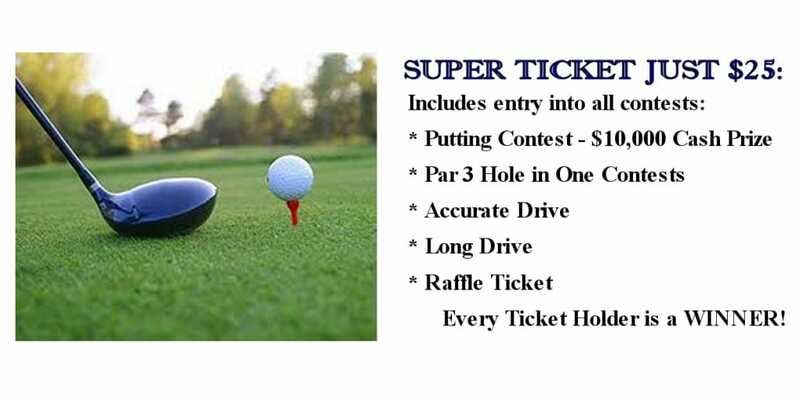 You can also purchase a “Super Ticket” for $25 which includes entry into all the tournament contests (Hole in One, Putting Contest, Accurate Drive, and Long Drive) as well as a raffle ticket. The event includes lunch and dinner, raffle prizes and a goodie bag featuring items from Colleyville area vendors. 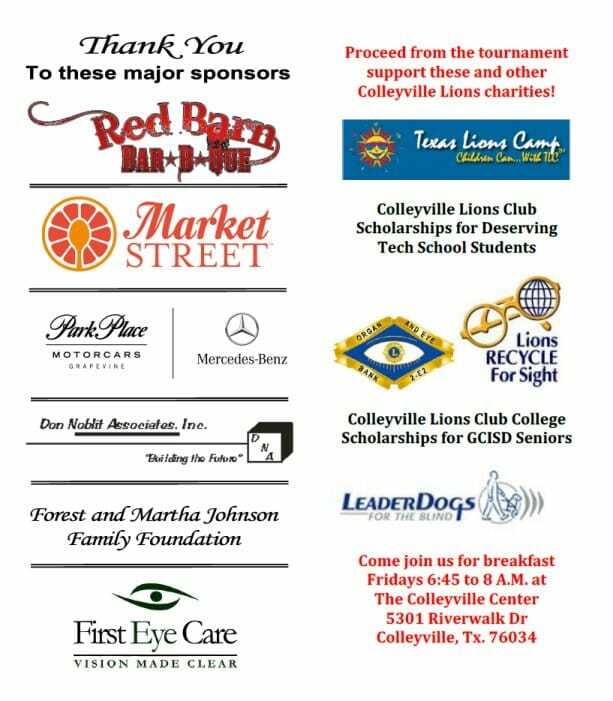 Proceeds from the tournament support several Colleyville Lions Club charities, including Texas Lions Camp, Lions Organ and Eye Bank, Lions Eyeglass Recycling, Blind and Visually Impaired Sports Extravaganza, Colleyville Lions Club Scholarships for Deserving Tech School Students, Leader Dogs for the Blind, and Colleyville Lions Club Collegiate Scholarships. Lion Vince Rosen announced the Colleyville Lions Golf Tournament is scheduled for Monday, March 21, 2011 at Texas Star Golf Course at 1400 Texas Star Parkway, Euless, TX 76040. Golfers aand Sponsors are welcome to come help us support these worthy charities. .